XRP is the third cryptocurrency by market capitalization. It is considered one of the alternatives to Bitcoin, with a quite different proposal in some aspects. Probably, as we will see later, one of the main differences is a cryptocurrency concept that is fairly centralized in a truly decentralized context. Although, of course, it is considered a cryptocurrency, the differences with other options are considerable. Therefore, it is always interesting to understand a little more about what this crypto offers us. The trajectory of Ripple begins at the end of 2012. With a direct relationship with the Ripplepay project, it definitely takes its name and the token is represented as XRP. Construction begins with an idea of distribution of the accounting reform in which different parties participate in the validation of transactions. This eliminates a specific centralized authority. In this way, global transactions are facilitated. Furthermore, transfer rates are cheaper than other digital currencies. Another of the fundamental differences is speed in transfers. These are immediate, they do not require a confirmation period. The change can be made for any type of currency, from trust to gold or other options. One of the main differences with Bitcoin is the currency re-foundation process. In this case, we are talking about a project supported by Ripple Labs, which continues to be the main actor. On the other hand, there is no fluctuation in terms of currency existence. The creation of Ripple is based on 100 billion tokens as a starting point. This quantity is maintained without extraction, so a high percentage of these tokens still belongs to Ripple Labs. Recall that the two main cryptocurrencies have a different operation in this sense. Bitcoin maintains a growth flow with a final maximum horizon. In turn, Ethereum has no limits. It can be conceived as a digital currency oriented to the payment of goods and services. Ripple could be better defined with a payment or currency exchange system and sending payments, very suitable for payments to banks or networks designed for this purpose. In other words, it could be a system for the transfer of goods, with that, for example, established in real time and less expensive and more transparent than other systems currently used by traditional banks. Obviously, another of the key differences to consider is the use of Blockchain technology. This technology, essential in Bitcoin, is not used in Ripple. Instead, it uses a ledger that uses the validation server networks and cryptographic tokens called XRP. It has remained stable since its launch. Its transaction capacity per second reaches 1500. The upgrade will allow for a 50.000 transaction per second resizing to very high levels. If we compare it with the other two cryptocurrencies that occupy the market podium by capitalization, the difference is enormous. Bitcoin, excluding scale levels, can handle 3 to 6 transactions per second while Ethereum reaches 15 tps. 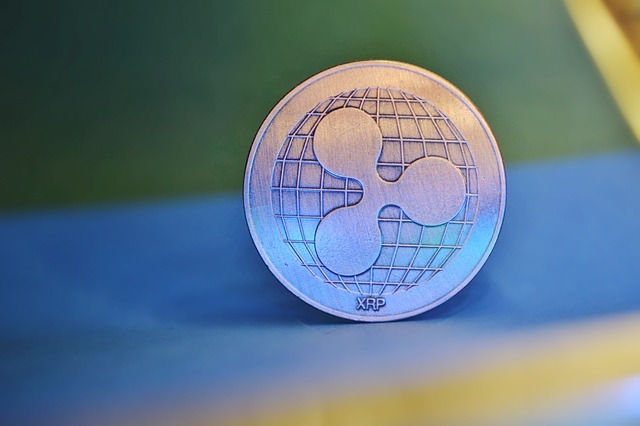 XRP, the Ripple token is not obtained through the extraction. It was issued at the time of its launch, similar to what a company’s shares could be. It would be the token that is used in the Ripple network for use in money transfers between different currencies. When traditional settlement systems are used, US dollars or other currencies are generally used for conversion. Obviously, this translates into exchange rates and time spent on the transaction. Transfers between bank accounts in different countries can therefore involve costs and time. In the conversion of the transfer value in XRP the exchange costs are eliminated and the payment processing is reduced to a few seconds. Without a doubt this is the key element to understand the value position of this digital currency. The Ripple network is able to make a payment via XRP in just 3.5 seconds. The use of the token in this case is really independent at the same time. This means that the bank does not need to have XRP to transfer a traditional currency. As indicated above, we are faced with the third cryptocurrency by market capitalization, just behind Bitcoin and Ethereum. Of the 100.000 million created at the time of its launch, which will not expand according to the company, around 40% is in circulation. The rest remains in the hands of Ripple Labs. The release rate will be around 1000 million per month. This controlled version has the goal of not suddenly removing all the supply, influencing the price. Probably the most influential factor in the future of this digital currency has to do with the possible transformation of the financial sector with its payment network. For this reason, a greater number of collection networks and banking services should adopt the model and join the project. If that happened, of course, the value would skyrocket. In the historical evolution, growth, with very pronounced ups and downs, turns out to be positive and in line with the main cryptocurrencies. 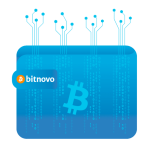 The easiest way to get this virtual currency is to buy XRP on Bitnovo. We will guide you through this process step by step. 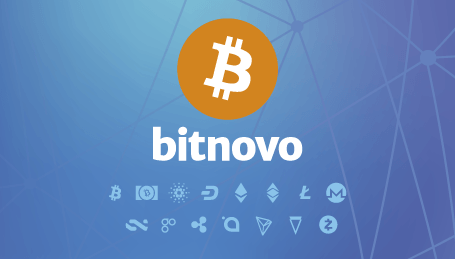 First, from the Bitnovo website, we chose the Buy Cryptocurrency option.